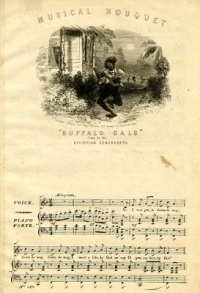 This page Folk music is part of the music series. Starting in the mid-20th century a new form of popular folk music evolved from traditional folk music. This process and period is called the (second) folk revival and reached a zenith in the 1960s. This form of music is sometimes called contemporary folk music or folk revival music to distinguish it from earlier folk forms. Smaller similar revivals have occurred elsewhere in the world at other times, but the term folk music has typically not been applied to the new music created during those revivals. This type of folk music also includes fusion genres such as folk rock, electric folk, and others. While contemporary folk music is a genre generally distinct from traditional folk music, in English it shares the same name, and it often shares the same performers and venues as traditional folk music. Even individual songs may be a blend of the two. Unless indicated otherwise, the text in this article is either based on Wikipedia article "Folk music" or another language Wikipedia page thereof used under the terms of the GNU Free Documentation License; or on original research by Jahsonic and friends. See Art and Popular Culture's copyright notice. This page was last modified 17:56, 22 January 2014. This page has been accessed 9,957 times.